Well that’s day 3 complete and the end of an amazing conference. 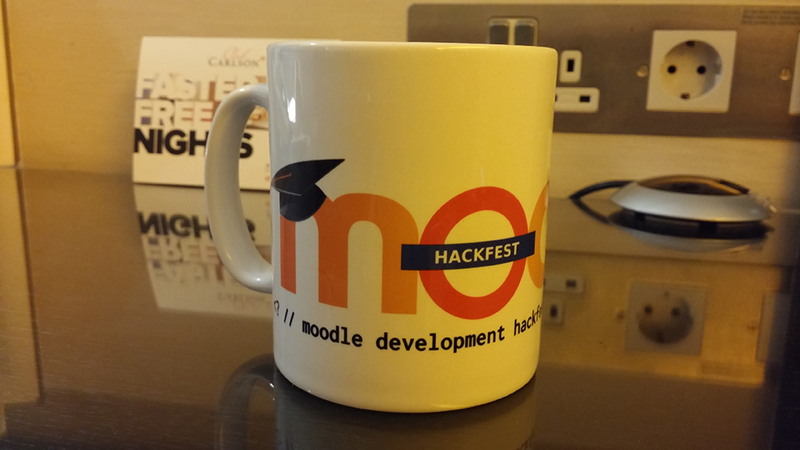 3 days of pure Moodle, back-to-back sessions, networking and sharing. Today was more low key (presumably due the sheer volume of wine consumed by the delegates at last night’s dinner). We began with a fantastic keynote delivered by Fiona Strawbridge followed by various presentations ranging from assessment and open badges to competencies and plugins. It was nice to speak to delegates regarding my infographic posters on course design and receive feedback from the presentation I delivered yesterday. The day concluded with a final keynote from Gavin Henrick, who (amongst other items) announced the new Moodle MOOC platform scheduled for release in May/June 206. As Martin Dougiamas noted in his closing remaarks, this was our first “Underground Moodle Moot”. But one of the best. I now head back home with lots to think about and plenty to do, exhausted but excited.